The struggling Canadian company Blackberry has filed a lawsuit suing American Idol's host Ryan Seacrest's start-up company Typo over an iPhone keyboard accessory that Blackberry claims "blatantly" copies their iconic keyboard design. This snap-on accessory is a keyboard that can be attached to an iPhone device which serves as a physical keypad and protective casing and is set to be shipped out this month but the pre-order for $99 apiece has started last month. Blackberry said in a statement "This is a blatant infringement against BlackBerry's iconic keyboard, and we will vigorously protect our intellectual property against any company that attempts to copy our unique design.". The company also added "We are flattered by the desire to graft our keyboard onto other smartphones, but we will not tolerate such activity without fair compensation for using our intellectual property and our technological innovations.". As per an updated report on The Verge, the company co-founded by Seacrest Typo Keyboard has released a statement saying they will face the lawsuit and fight it in court. And that they will still continue to ship the orders later this month. 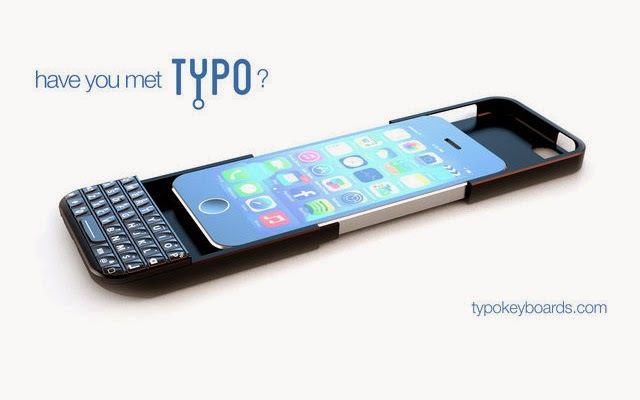 Looking at the image and the video clip of the Typo product in question, do you think that the keyboard design is a copycat from the Blackberry qwerty phones?